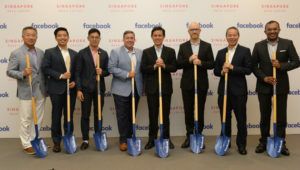 On 6 September, Facebook has announced its first custom-built data centre in Asia, to be located in Singapore. Robust infrastructure and access to fiber, a talented local workforce, and community partners, including the Singapore Economic Development Board (EDB) and the Jurong Town Corporation (JTC) were highlighted as the reasons behind the choice of location. No date for the completion of construction has been announced as yet. 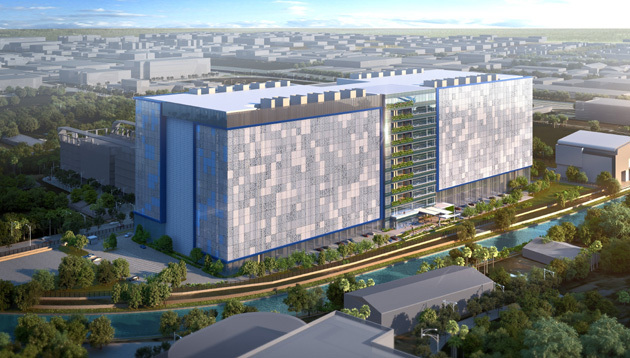 This comes close to Google’s announcement on 1 August regarding the setting up of the company’s third data centre in Singapore, after the first back in 2011, expanding to a second building in 2015. Located in Jurong West, the expansion brings Google’s long-term investment in Singapore data centres to US $850 million. First to incorporate the new StatePoint Liquid Cooling system, which can reduce the amount of peak water used by 20% in climates like Singapore’s. Expected to be powered by 100% renewable energy, and currently working to increase the development of new solar resources in Singapore. Annual Power Usage Effectiveness of 1.19, i.e. almost every watt going into the data centre will be used to run the computing equipment. To conserve space, a new 11-storey building design has been developed specifically tailored to Singapore. The façade is made of a perforated lightweight material that allows airflow and provides glimpses of the state-of-the-art mechanical equipment inside. Fortis Construction will act as general contractor for this project, owing to past joint experience with Facebook in building efficient data centers. Civil servants, students and teachers are reminded that they are "not permitted to observe a Ramadan fast.".. Are your employees drinking enough water at work? Even mild dehydration can have a negative impact on productivity, energy level and alertness. Here's how you can ensure that doesn..